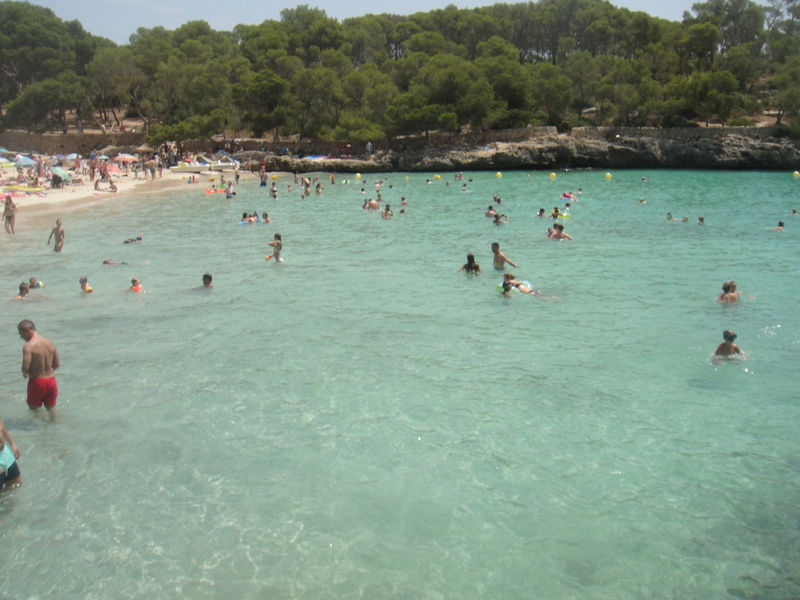 It is very hard to select just a few beaches in Mallorca because it has so many and all of them are beautiful. I am going to start with the following and I will probably add more soon. 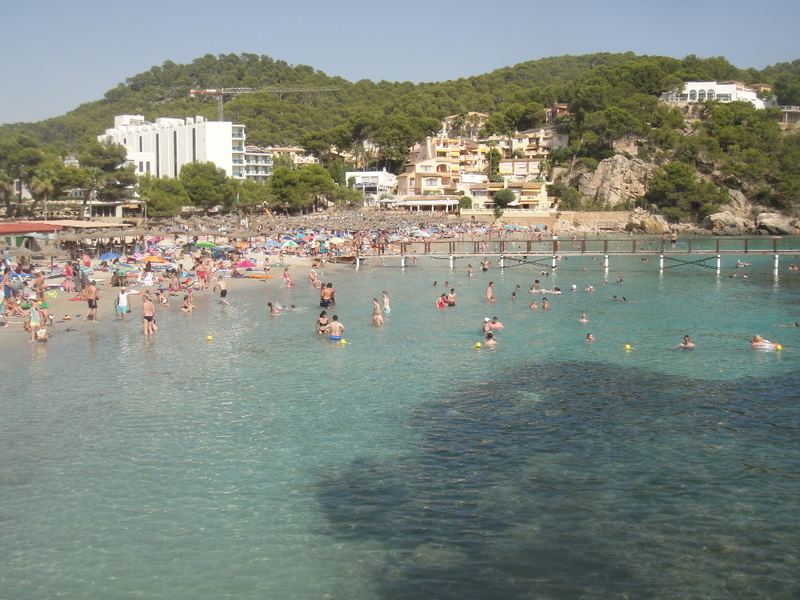 It is a stunning double bay beach, with white and soft sand, rocky coves (good for snorkelling), pine forest and turquoise water. Its main characteristic is that there are actually two beaches/bays, one in front of the other. 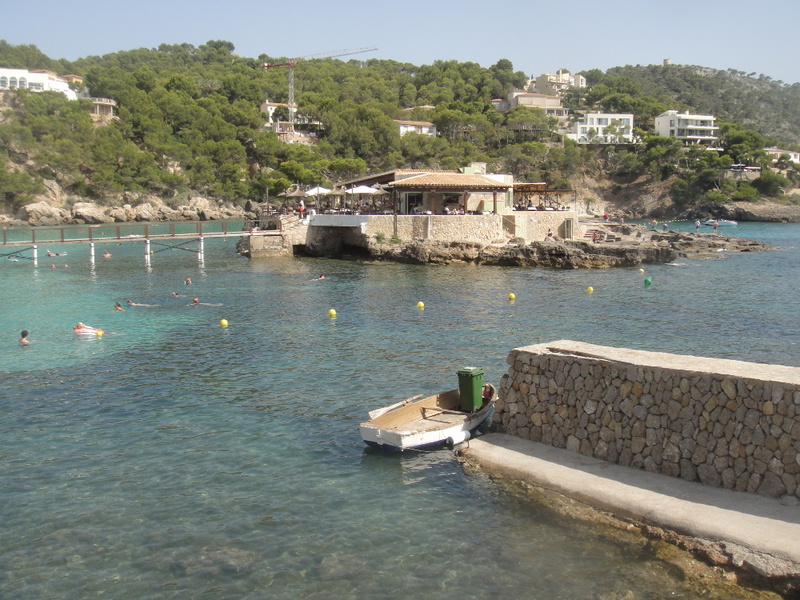 You can swim from one bay to the other, or you can take a footpath and walk next to the pine wood. The footpath has a few good spot for diving. There are good facilities as well, which makes it convenient for families. 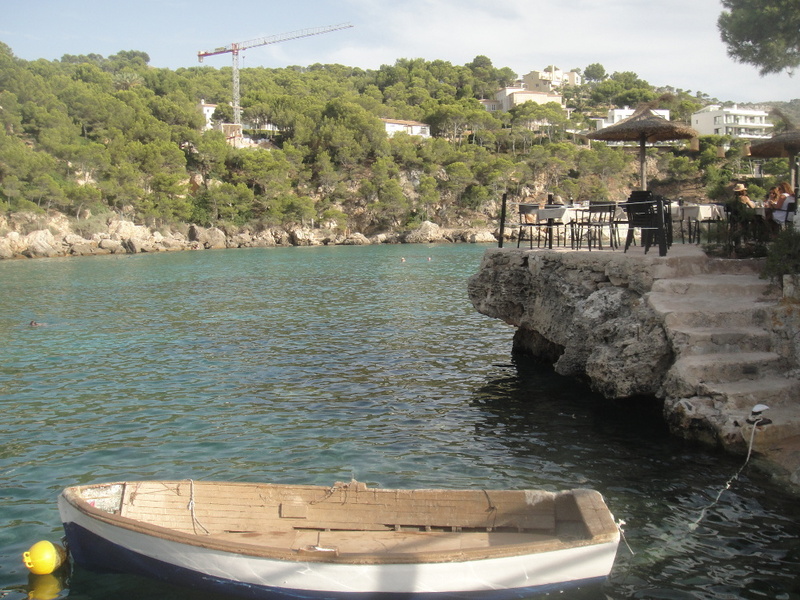 This includes two restaurants, public toilets, a small “beach” shop (water, suncream, towels, souvenirs, etc), a public parking and pedalos/paddle boats. There are also sun loungers and parasols to rent. The parking can get busy during high season, and it has a limited capacity, so you may need to wait for a car to leave and free a space. It costs €5 and it is about 200 metres from the beach. 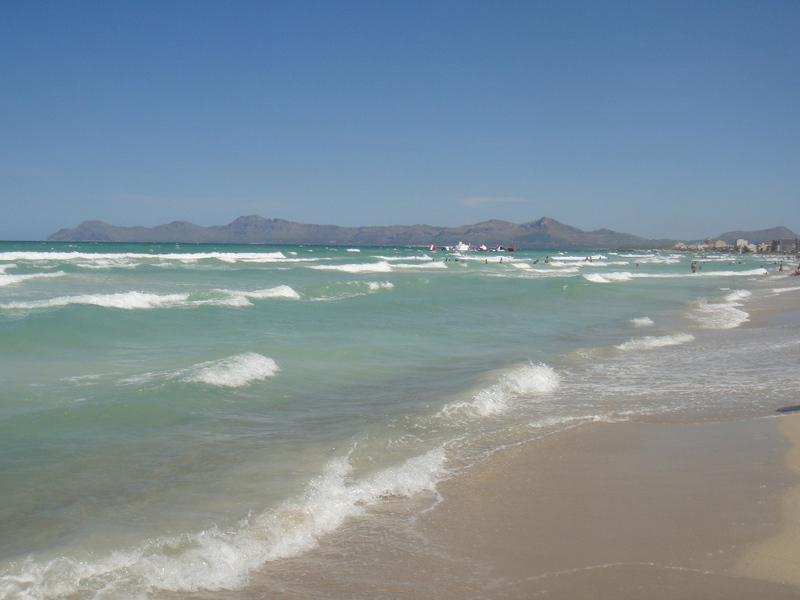 It is one of the largest and most famous beaches in Mallorca. It offers 2 km of white and fine sand backed by dunes and vegetation. The water is crystal clear, and it has a natural and unspoilt feeling as there are no resorts or hotels nearby. It is normally compared with the Caribbean due to its turquoise water and golden sand. 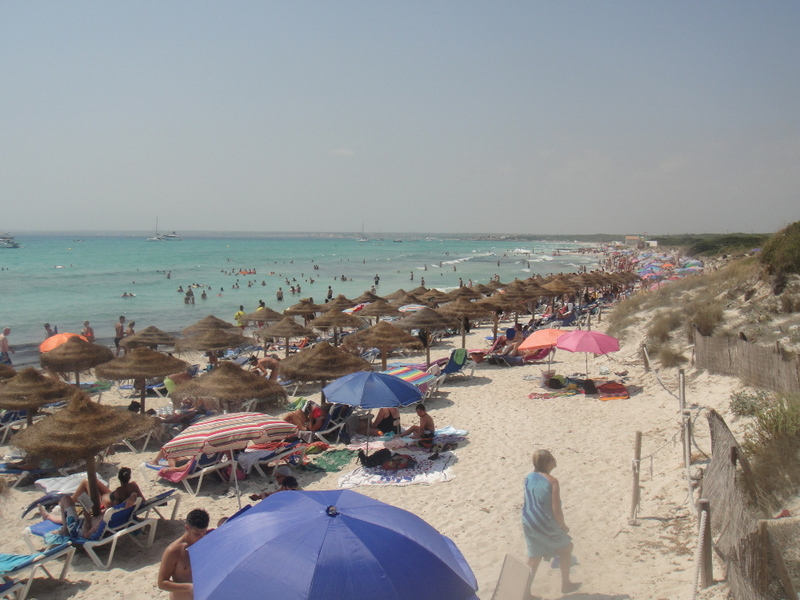 There are still beach facilities such as sunbeds, toilets, ramps for the disabled and two restaurants, but they are dispersed so you will find areas with no facilities nearby. It is only 20 metres wide, and quite popular among locals and tourist, so it can get easily crowded during high season. Nonetheless, it remains less commercial than others. There is limited free parking and also private. There are two accesses quite separated from each other: Ses Covetes and through the salt flats to the south. So watch out if you need to meet someone there, as you can end up on opposite sides of the beach. This happened to us and we had to drive another 30 minutes to meet again. 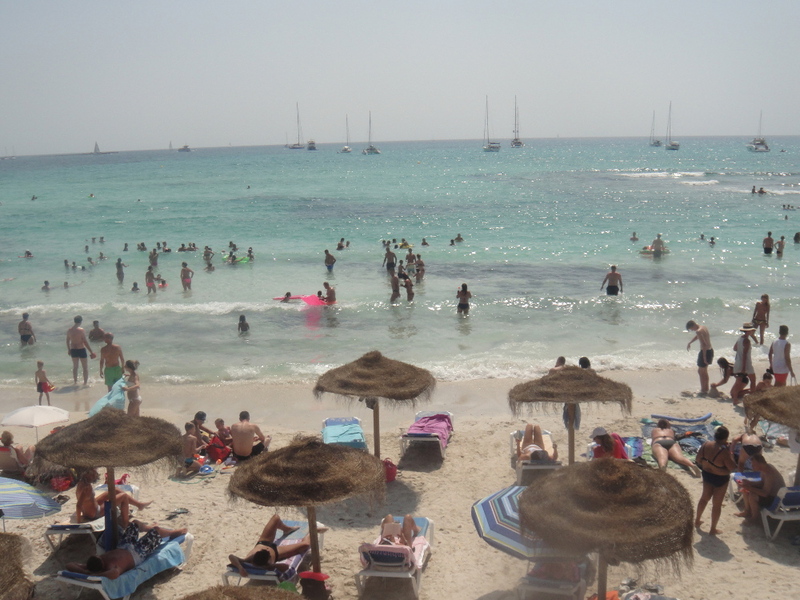 Wide and gorgeous beach with plenty of space, fine golden sand, dunes and facilities. 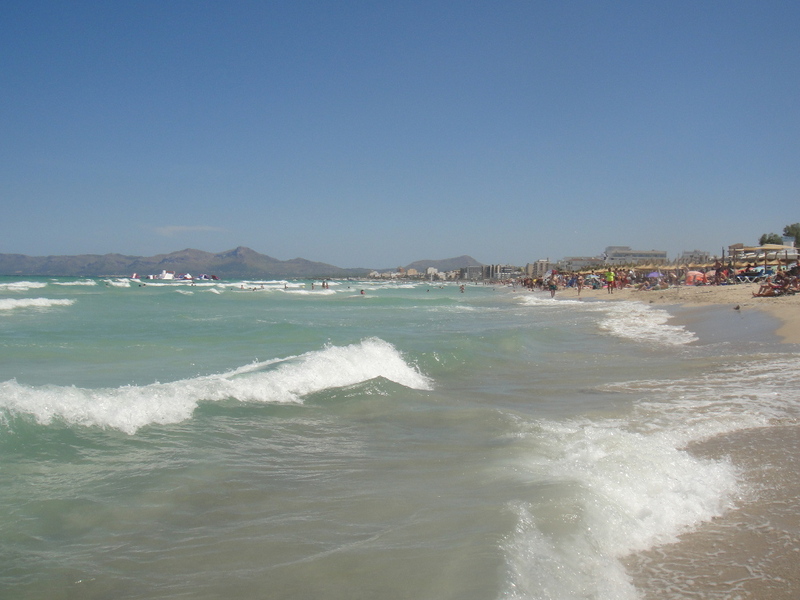 It is one of the longest beaches in the Balearic Islands, extending from Puerto Alcudia until Can Picafort. It is divided into 4 sectors: Playa de Muro Sector I, II or Es Braç (less busy than I), Es Comu (unspoiled but tricky access) and Es Capellans (the busiest). There is a wide range of services and facilities all along, including restaurants, bars, sun loungers, parasols, toilets, showers, disabled access, and also hotels. It is also a great bay for water sports, such as sailing, jet ski, paragliding, scuba diving and water ski. However; it can get windy as the bay is less sheltered and enclosed than others. The area is also surrounded by luxury five-star hotels/resorts, apartments, good restaurants and beach clubs. Well known for having a restaurant on an island, which is connected to the beach by a thin and straight bridge. It is called Illetas and its speciality is paella. The place is unique and you really feel in the middle of the sea. You will need to book in advance, of course, and if you are there they will write your name down in a big book at the entrance. So do not expect to show up and find a table, but for sure you should try to go. 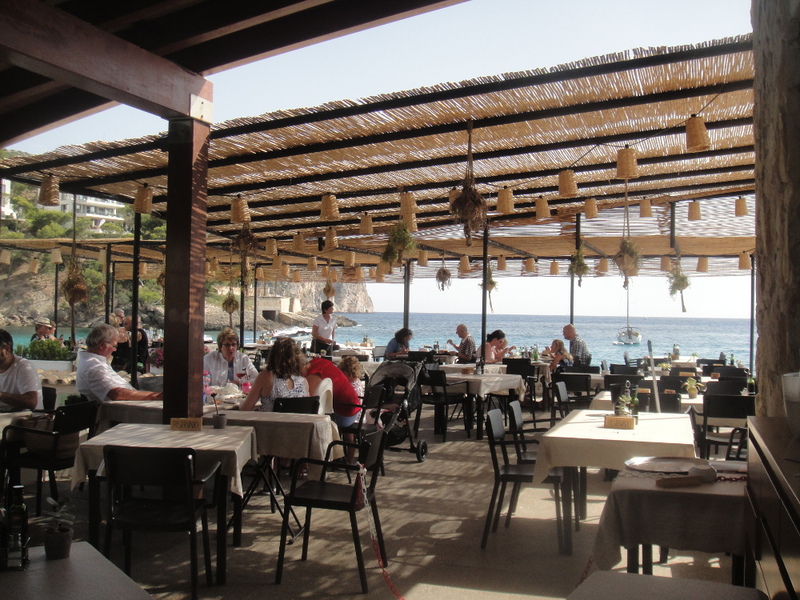 If you cannot have a meal for some reason, you can still sit at one of the smalls tables facing the beach and have a coffee or a refreshment. 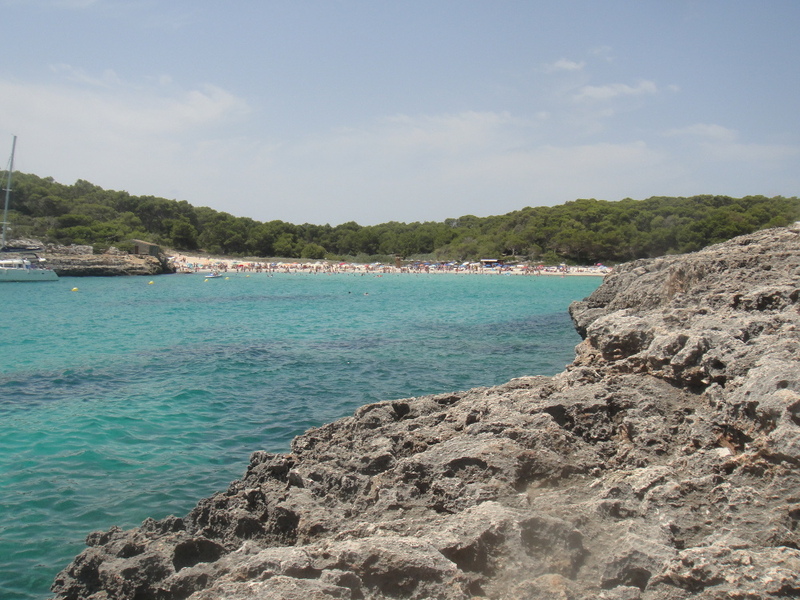 The area is enclosed by high cliffs, making it an ideal place for snorkelling. It has also quite good facilities and services so it is family-friendly. There is plenty of fish below the bridge and around the restaurant. It was really the best beach we went for snorkelling. We fed the fish with bread and they swam all around us, a very good experience. The sand is not as soft and white as in others, and you may not be surrounded only by nature, but this calm beach worth a visit with no doubt. It was the favourite for some members of my family. The smallest one on the list. 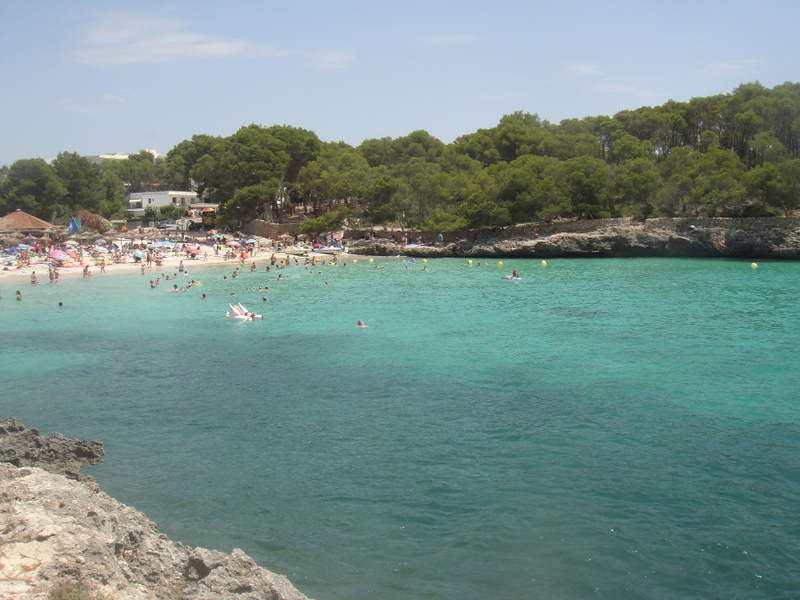 It is also called Sa Caleta, and it is only 30 metres long and 20 metres deep. It is popular with locals and families, and it would be very uncommon to find a lot of tourists. 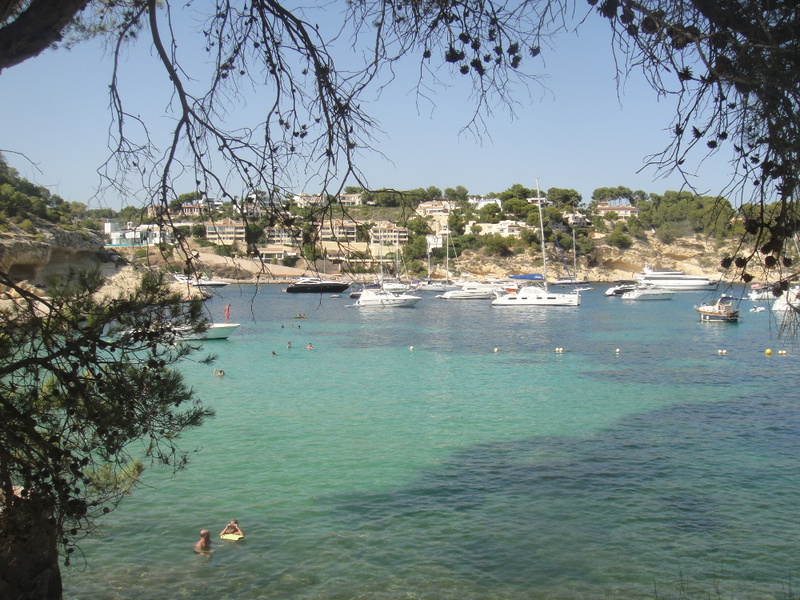 Many yachts also visit this bay during summer, but the beach remains calm and quiet most of the time. It is made of golden sand and has a pine forest behind. The water is clear and shallow, and there is a lot of space for swimming and many caves to explore. There is an even smaller beach nearby, which can be reached by a footpath or by a short swim. In terms of facilities, there is a snack shop, a small restaurant and parasols for hire. The parking space is limited and people normally need to park all around. 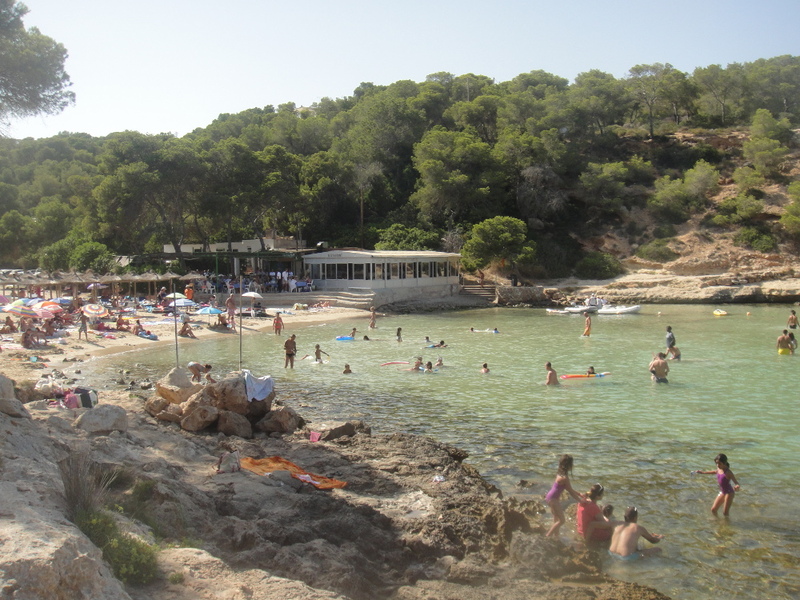 There is also a third beach nearby, called El Mago, which is Mallorca’s official nudist beach. It is only 20 x 5 metres, there is a bar for refreshments and parasols for hire.